To keep your Toyota or other make of car performing at a high level and safely out on the roads, regular tire inspections and service is required. Even with all of today’s advanced safety systems and performance features, your tires are one of the most critical components for both safety and performance. With a quick tire inspection at the service department of Plaza Toyota, your car’s tires are in good hands. With a simple tire rotation, our service technicians can save you money by extending the life of your car’s tires. If a more severe issue beyond irregular tire wear is found, we can recommend that one or more of your tires be replaced with tires approved for use on your vehicle make, model and year. Whether you drive a Toyota RAV4, Prius, Camry or a car of another make, we can suggest OEM-approved tires for your vehicle based on your driving style, budget and wheel size. From Michelin and Goodyear to BFGoodrich and Bridgestone, we have access to tires from many top tire brands. Our service center proudly serves drivers near Manhattan and Queens, New York City with prompt tire maintenance and installation. Visit us today or schedule a tire service appointment online now. 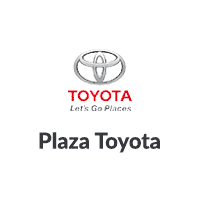 Scheduling tire service for your car, SUV or pickup truck at the Plaza Toyota service department is quick and easy. Use our schedule service form online or feel free to give our service advisors a call to let us know when you will be bringing your car in for a tire inspection and service. While we have your Toyota or other make of car in for tire service, we will gladly take a look at other components of your vehicle like your battery and fluids to ensure your car can continue to go the distance for you. If you would like to wait on-site during your car’s tire service appointment, please enjoy our customer lounge, complete with free wi-fi access and complimentary beverages while you wait.